Enrich had come all the way from Austria in hopes of catching a tarpon while fly fishing. When he got to Miami he gave me a call as he was looking for a tarpon fly fishing guide. He had been traveling all around South Florida fly fishing with other guides from Pensacola down to Key West. 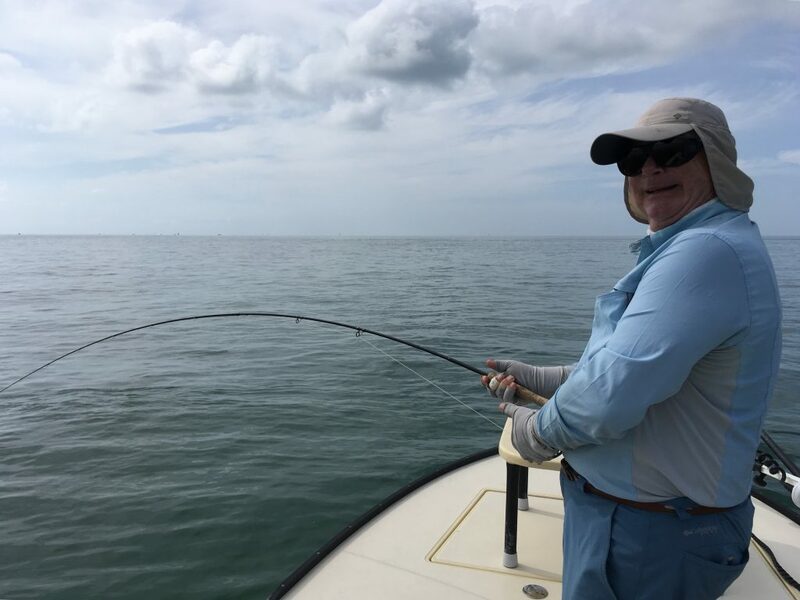 While fly fishing with some of these other guides he had some success catching some tarpon while fly fishing, during the two weeks that he spent in South Florida. We were only able to fish for a half day during the weekend. We got started tarpon fishing close to Key Biscayne. We had some stormy conditions making sight fishing for tarpon impossible. But there was a few places inshore of Miami that the tarpon fishing had been pretty good. 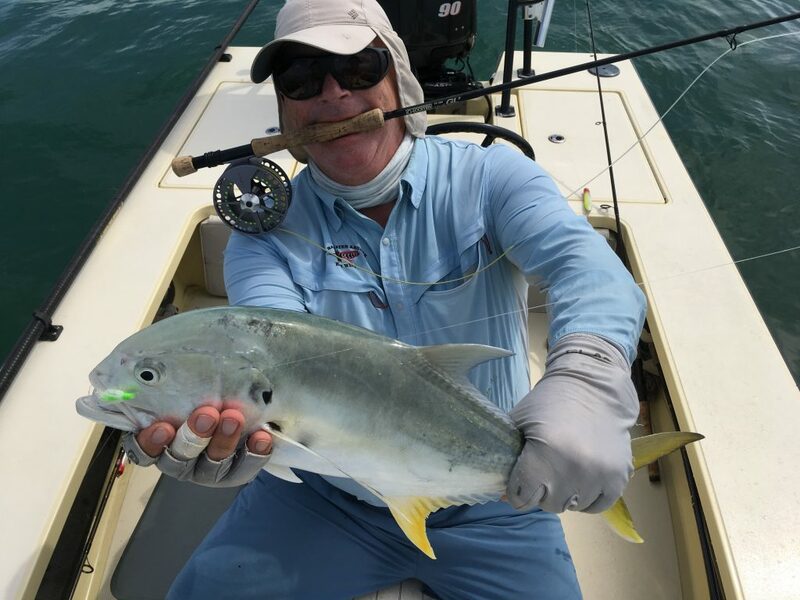 We were not able to get any tarpon to bite the fly that day, but did come across some big jacks busting bait and pinning them up against the sea walls that protect the million dollar homes throughout the inshore areas of Miami. When these jacks are in there you just run the boat right up to them and will eat any fly so long as it’s moving fast enough. We got one hooked up and landed. He loved this type of fly fishing and was amazed at just how vicious the bite was and how hard they fight on a 12 wt fly rod. Enrich said that the next time he is in Miami he will be booking some more fly fishing charters with me. He had a great time and liked the fly fishing opportunities that we have in Biscayne bay and inshore Miami.